Kambrya student wins Battle of the Bands! 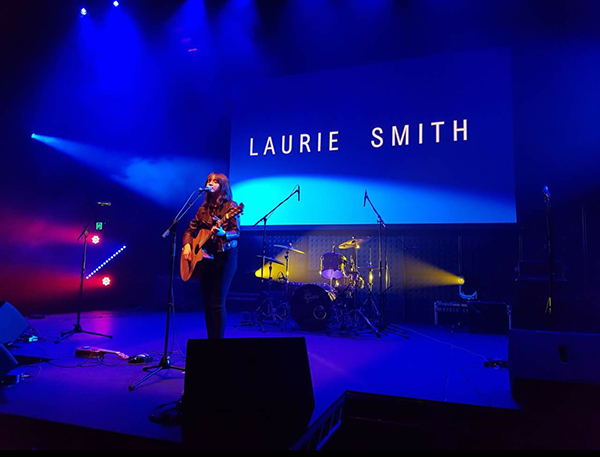 Kambrya College is celebrating the achievements of Year 11 Music Performance student Laurie Smith, who recently participated in two Battle of the Bands competitions, with great success. She sang and accompanied herself on guitar, performing both original songs and cover material. On Friday, 13th July she performed at the Casey ‘Battle of the Sounds’ and achieved 3rd place. Quickly consolidating this success, she performed the following Friday (20th July) at the Cardinia Battle of the Bands competition – which she won. Laurie has been involved in the Music Department at Kambrya since year 8 and we are delighted to see her achieve such success and receive acknowledgement of the hard work and practise time she puts in. Laurie also performed this week at the whole school assembly at Kambrya where she received a tremendous reception from students and staff alike.